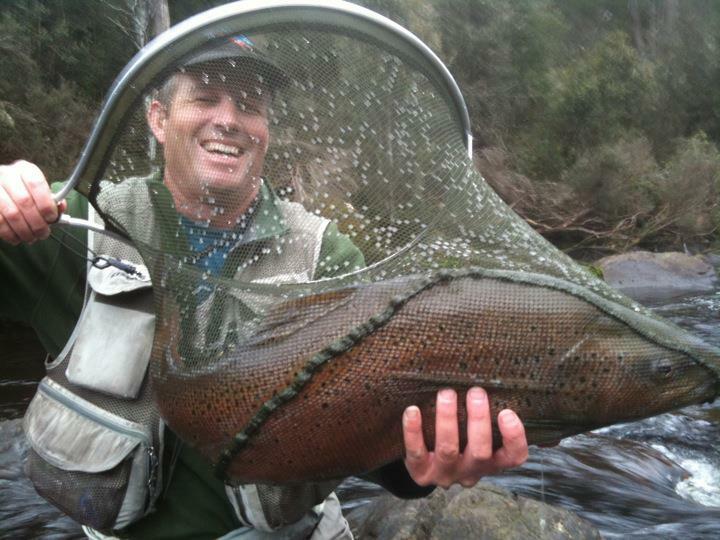 News in from over the weekend of an enormous feat on fly in Tasmania. Well-known Australian angler Philip Weigall was fishing the mighty Derwent River with guide and mate Christopher Bassano when Phil got more than he bargained for on a size 12 nymph! 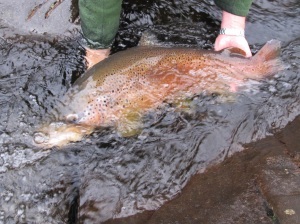 Measuring 86cm in length and a massive 60cm in girth, the fish was estimated to be approximately 22lb before a strong release back into the drink. A great achievement from these guys. 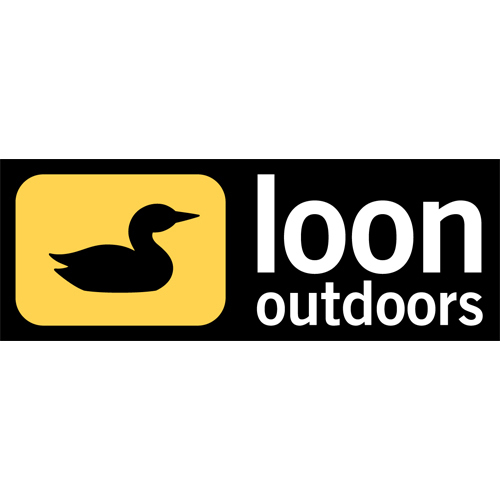 Be sure to check our Phil’s blog here and also get in touch with Chris’ Rainbow Lodge guiding business for some epic Tasmanian fly fishing. ‘Like’ the Facebook Page for updated info on Tassie fishing.